It’s been 2 months since artificialeyes announced their new Mac-only visualist tool 3L ("Thrill"). The ae guys have just pushed out a new beta release, updated the 3L manuals, posted a new features page with screenshots, and the word from Michael is that the commercial release will happen as soon as they have the infrastructure in place for selling it. … and leading by example, they have also released two content DVDs on VMS. These feature content generated almost entirely in 3L and are designed to be used with the VMS Video Moving Systems. Hungry? Well, how would you like a main course of "Free 3L Private Beta" to go with that? artificialeyes have provided CDMo with five invitations to give away. The beta group is currently under 50 people, so this isn’t your average web2.0 style "put it out there and call it a beta so we don’t have to make it stable" software release. Before you go putting up your hand, however, there are some conditions. Most importantly: You’ll need a machine which is capable of running 3L. If you can tick those boxes, then all you need to do is leave a comment on this post (edit: Entries are now closed. Winners will be announced on Monday). Entries will be open for 72 hours, then we will randomly select 5 people to join this exclusive group of visual visionaries beating their graphics chips into submission. Those who have been chosen will receive a beta invitation, and the others will receive an invitation to join the 3L mailing list (opt-in, of course). If you miss out, don’t fret. The pricing for 3L – €200, €150 for students – is very competitive, and I’m sure that artificialeyes will keep us in the loop on their release progress. tick. tick. tick. tick. tick. me me me me me! hmmmm? iMac here. Any chance of being included, regardless? Hi, I am very interested in being a part of the private beta testing of 3L. My buddies at university and I have read so much about 3L through this blog and their website. We are pumped to see this tool first hand! me likey! my just-arrived mbp is craving for fresh thrills!! I would also like to test this out as I have been looking into building a VMS solution for the club me and my partners do, Compression, here in L.A.
fan of generative visuals? check. interest in beta-testing 3L? most definitely check. i tick all them there boxes and would love to help out beta test! me! me! me!beta! beta! beta! Already on the list, just wanna test drive the thing! Will prolly buy it anywho, just because I GOTTA! check. consider me quite interested. Boxes ticked, already on the mailinglist and ready to beta test! I'm in. VJ in Tokyo using a 2.33 17" MBP. I'd love to give this a whirl. Since I'm performing @ Mapping within a few weeks this would be a perfect oppertunity to put my 2.33 Ghz Macbook Pro to the 3L test. Count us in, too. We're very interested. count me in as well. these guys are totally awesome- I had the pleasure of meeting and performing with todd last year and really enjoyed their (at the time alpha) output. I have a 2.66 quadcore with 4 GB ram. Pick me! Pick Me! I'm so excited about the beta! Oh God! Oh Geez! Yay! Wicked – Sign me up for the chance. Thanks. uh huh can't wait for the release of this! I would like to beta 3L. I think its been said already but, yes, please! I need to play with this all over my next gig! 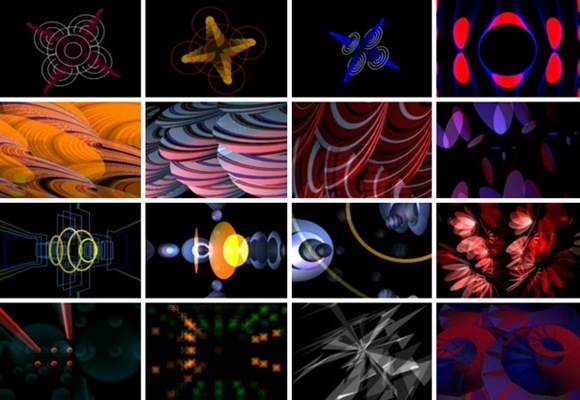 This is just what I've been looking for too… a way to generate graphics on my Mac. Just upgraded my laptop too (full on 15" MBP, 4gb RAM, and with the 512 VRAM!)…. Will it sync to midi? well, if you are accepting 50 more beta testers for 3L, sign me up. Looks like you have your 5 already 😉 Would love to see how this works with Psylab and our MIDI drum kit. I'd love an invitation please. We are running 2 x mbp 2.33's and our vms units arrive within the next two weeks. We would love to become testers for this exciting development in vj software. Thanks for the generous offer guys! Lots of posts here, so my chances are slim… but count me in anyway. Not sure if I hit the deadline. 3L looks cool, if kinda dense. please let me in as well. Im already in the beta program..
this is a great offer- am vjing here in hong kong and would love to try this software out, looks ace! I'ma DJ/VJ in Dallas Texas and I would love to beta test 3L!